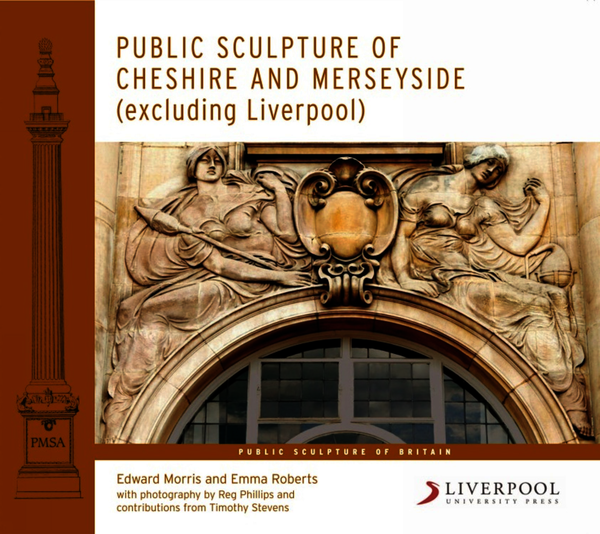 This is the fifteenth volume of a series which has achieved an international reputation, and expands on Terry Cavanagh's volume, Public Sculpture of Liverpool. Cheshire and Merseyside are exceptionally rich in public sculpture. Church monuments include fine neoclassical works by Lorenzo Bartolini and Pietro Tenerani, the two artists who dominated Italian sculpture after the death of Canova in 1822. The very moving Ellen Legh memorial at Winwick of about 1831 is R.J. Wyatt’s masterpiece. As for architectural sculpture the reliefs on the Municipal Buildings at Crewe by Frederick Schenk of 1902-4 are among the best examples of the so-called “New Sculpture.” There are superb war memorials by the leading sculptors of the period, Goscombe John, Sargeant Jagger, Hermon Cawthra, C.J. Allen, Alfred Drury and Tyson Smith at Port Sunlight, West Kirby, Bootle, Eastham, Warrington, Birkenhead and Southport. The war memorial at Macclesfield by the Manchester sculptor John Millard is of exceptional and highly unusual realism. Statues and monuments to the great industrialists who transformed northern Cheshire around 1900 can be found at Northwich, Bootle, Birkenhead and Port Sunlight. George Frampton’s symbolist statues of Queen Victoria at Southport and St Helens are among his finest public works. More recently Antony Gormley’s evocative “iron men” on Crosby Beach and Jaume Plensa’s expressive Dream at a former colliery at St Helens have acquired a national reputation. The book has a catalogue section with a very detailed account of about 220 sculptures covering dating, commissioning, attribution, style, subject matter, cost, materials, dimensions, inscriptions, influence, condition, repairs, relocation, contemporary criticism and present reputation. Nearly all these sculptures are illustrated in the book by at least one photograph. There is an extended introduction analyzing the various types of public sculpture in the area and their history with reproductions of historic photographs. Detailed biographies of all the local sculptors can be found in a separate section. 1. The coverage is very thorough. 2. The research in many different areas, not just the history of art, is very extensive. 3. It provides a visual history of the region, as the sculptures relate closely to local history. 4. There are about 230 illustrations. 5. The accounts of individual sculptures are very detailed sometimes running to thousands of words. Edward Morris and Timothy Stevens are retired. Edward Morris is chairman of the Editorial Board for the series of volumes entitled the Public Sculpture of Britain. Emma Roberts is a Senior Lecturer in Art History at Liverpool John Moores University. Reg Phillips is a Senior Lecturer in Fashion Photography at Liverpool John Moores University. This book is a detailed survey of public sculpture in an area exceptionally rich in these works of art, so familiar both to residents and to visitors. It includes statues and memorials to the great industrial leaders who transformed north Cheshire in the late nineteenth and early twentieth centuries. There are church monuments by John Gibson, Francis Chantrey and other leading British sculptors, but much rarer are the major works by the Italian Neoclassical artists, Lorenzo Bartolini and Pietro Tenerani, in Warrington and Farnworth. The war memorial in Port Sunlight by Goscombe John is widely regarded as one of the most important public sculptures outside London, and the memorials in Birkenhead, West Kirby, Bootle, Southport, Warrington and Macclesfield, some by local sculptors and some by figures of national importance, including Alfred Drury, Sargeant Jagger and Hermon Cawthra, are of exceptional quality. Architectural sculpture includes the figures representing Cheshire trades and industries on the Municipal Buildings at Crewe by F.E.E. Schenck, superb examples of the so-called ‘New Sculpture’ of the early twentieth century. Much sculpture of varying quality was commissioned by the ‘New Towns’ at Warrington and Runcorn. More recently Antony Gormley’s Another Place on Crosby Beach – the ‘iron men’, as they are known locally – and Jaume Plensa’s Dream, overlooking the M62 motorway at St Helens, both by artists of international fame, have proved immensely popular and have attracted many tourists to the area. For each sculpture in the book there is a detailed account of the commissioning of the work, of its making, of its installation and of contemporary responses to it. Significant restorations and re-sitings are described. A long introduction surveys the development of public sculpture in the area. Extended biographies for all the local sculptors are provided. This is a scholarly and highly informative guide to an area notably rich in public sculpture. Combining deep local knowledge with a broader critical perspective, the authors draw on a wealth of primary sources, from artists’ papers to company records and the copious minutes of memorial committees; the responses of contemporary critics are also analysed. It is excellent on the whys and hows of public sculpture, on the process of commission or donation, and the motives – especially political – of those involved. Reg Phillips is Senior Lecturer in Photography at Liverpool John Moores University. Timothy Stevens was Director of the Walker Art Gallery between 1971 and 1987.